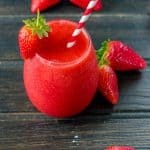 Frozen strawberry slushie recipe – cool down this summer with this frozen fruit infused slushie that’s perfect to sip on during these blazing hot days. 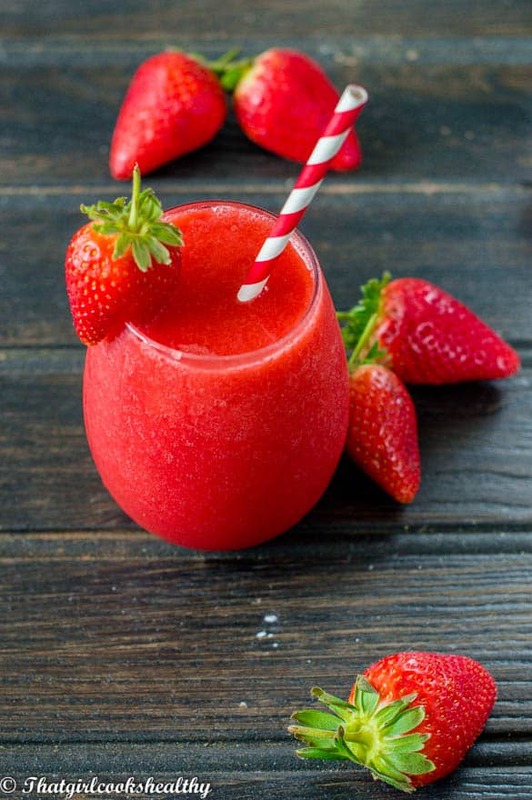 Those of you who are fortunate enough to live in a annually hot climate, will be overjoyed with this simple frozen strawberry slushie recipe. I’m experiencing a nostalgic moment with this recipe in particular, as it reminds me of when I was a young girl. I was addicted to them, to the extent that I do recall my failed efforts at trying to make a topical flavoured slush. Back then I didn’t have the luxury of a high speed blender. Now that I think about it I’m not even sure what equipment I used for my sub par attempt? One thing I do know is how terrible the results were. Although I was very young, that memory still remains in the forefront of my mind. 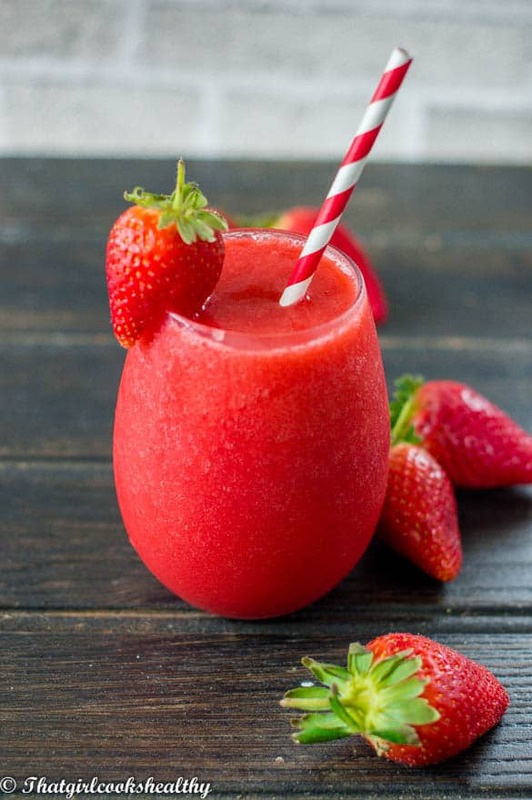 Slushies are relatively simple to make, all you need is some strawberries – a great source of antioxidants, vitamin c, fibre and an excellent source of potassium and manganese , a large quantity of ice and some dates for extra sweetness. 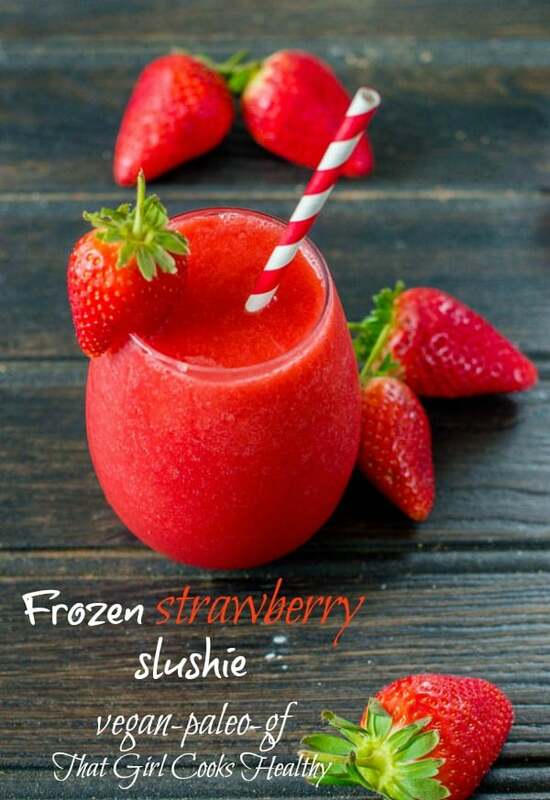 What equipment do I need to make a slushie? As always I do recommend using a powerful blender that completely pulses and combines all of the ingredients together. 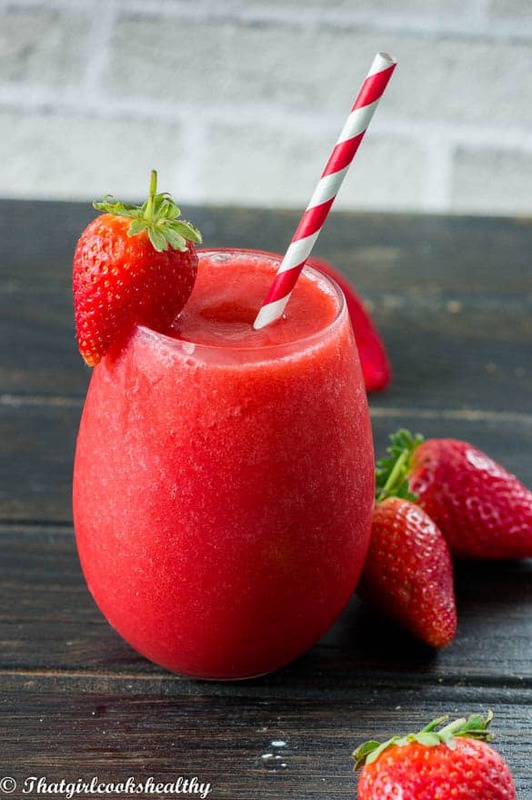 Add all of the ingredients into a blender and blitz until a slush type of texture is present. 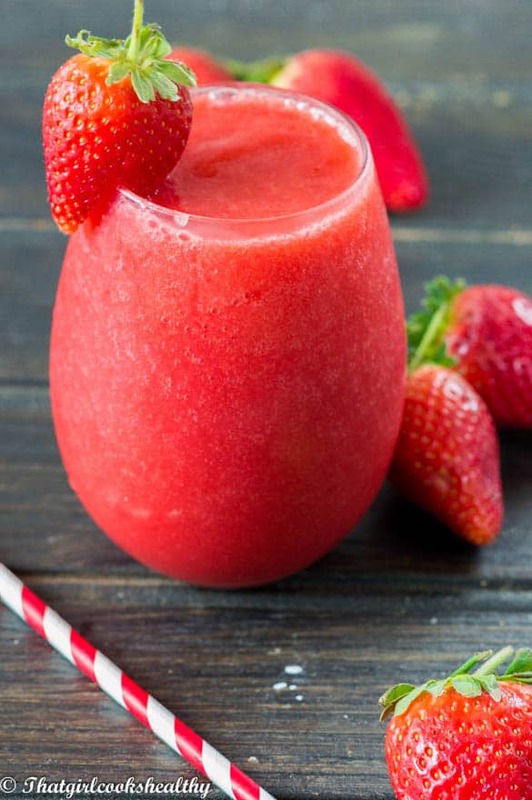 This recipe is incredibly simple and equally incredibly delicious! Two thumbs up!